Beautifully hand crafted thakur ji dress. Also includes a mala to adorn bal gopal. Size : 10 cm x 10 cm , Color : Pink. Ideal for ladoo gopal ji of size 0. The dress is made of shiny brocade material. 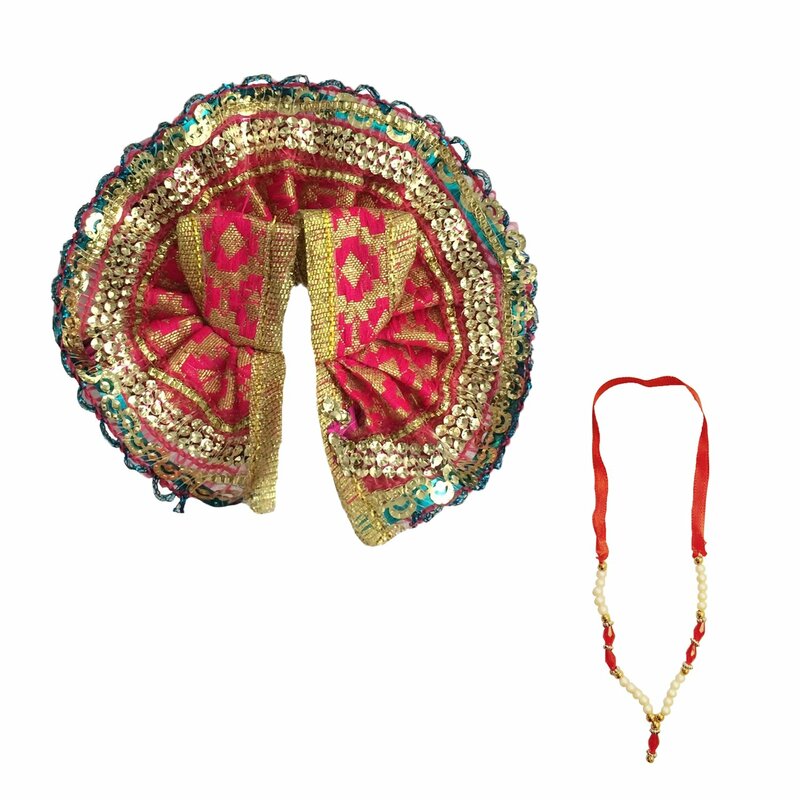 The dress is decorated with embellishments of gota work.